The Madison River is often rated as the country's number one trout stream...perhaps it is? 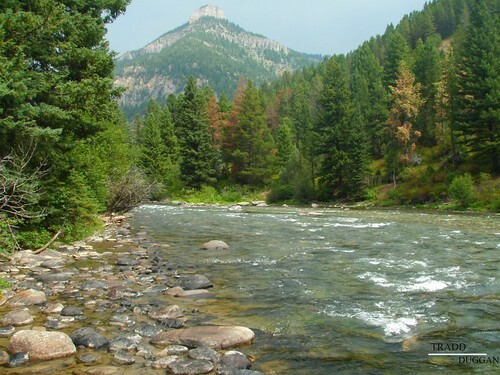 This incredible fishery startes in Yellowstone National Park and flows through one of Montana's most grandest valleys on its journey to form the Missouri river. 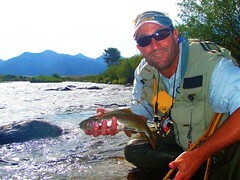 The Madison river has it all: great hatches, spectacular scenery, huge trout and great water. 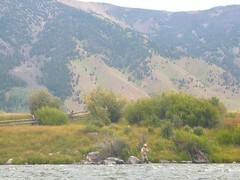 A day float fishing the Madison from a drift boat is prerequisite for any Montana fishing trip. 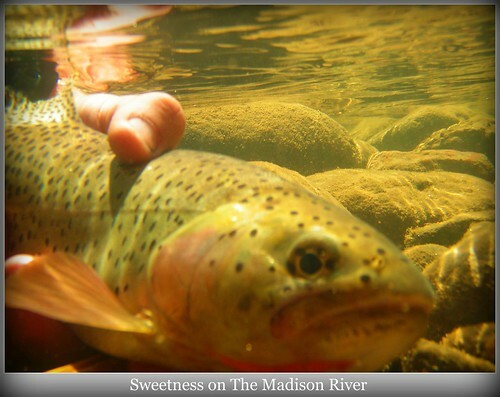 The upper portion of the River is designated for wade fishing only and is an ideal location to target large, strong and healthy browns and rainbows in swift rocky pocket water. 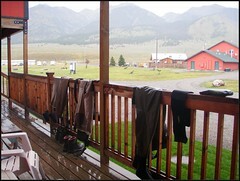 Lodging a few hundred yards from where we fished each day made this one of the more perfect locations we could find. 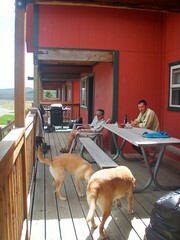 Fish part of the day, siesta in the afternoon after a big lunch, few beers and nothing like a few Labs to wake us up to get back out on the water. Gorgeous fish here on thd Madison and despite being tougher than normal due to the fact that teh dam is being worked on and not finished until 2012, water was warmer and the fish were less active. Results, more skill or in my case luck in catching more fish. The Madison River starts it's way from Yellowstone National Park and makes it's way through the Madison Valley through Hebgen and Quake lakes. 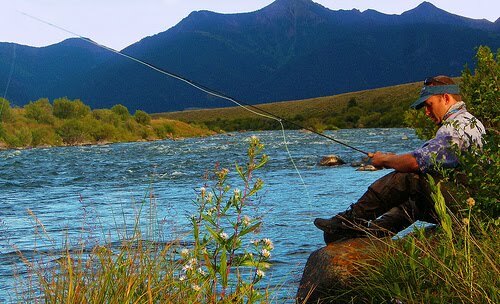 One incredible trout fishery whether floating the 50 mile ripple or fishing the Lakes, both can prove worthy of a top notch fishery. Don catching a nice trout the 1st 5 minutes of getting there and in 10 minutes it was on for the both of us! Flies of choice included stoneflies, copper johns, my fav #18 bhpt flashback, #14 bh hares ear and in the evening time 22 trico's, #16 yellow sally's, #14 foam caddis, and #12 brown drakes. 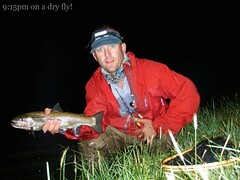 Nothing like catching nice rainbows at 9:20pm in the dark and going by feel and splashes as to when set the hook....Loved It!